Lizard Point in Cornwall is at the southern tip of the Lizard Peninsula situated half-a-mile south of Lizard village. We camped close by the point so we had the early morning to photograph Lizard Point. I like how these cliffs in the strong current reminded me about a lizard swimming in the sea. 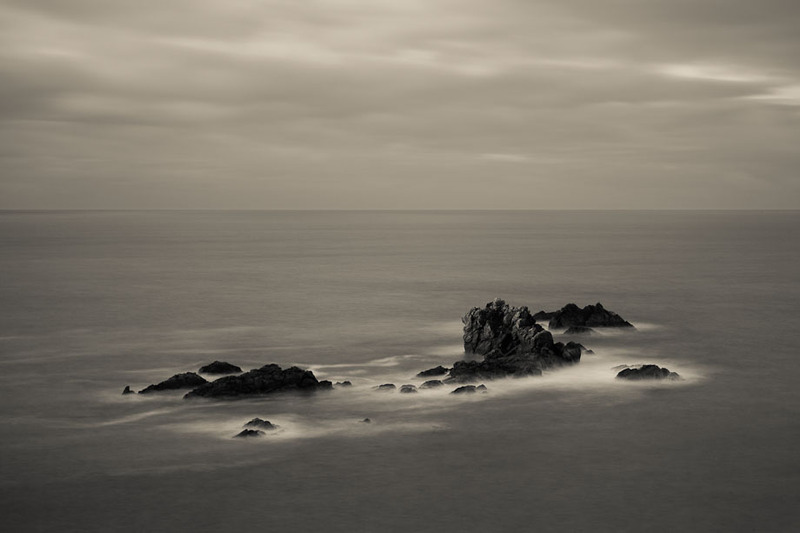 I tried to use a long exposure to calm the skies and the sea so the rocks stands out. The image was captured with the Canon 5D Mark II and the 70-200mm f/2.8L zoom lens. I like to use this lens for landscape photography which give a different perspective the the often used wide angle lens. For many years I thought that wide angle is equal with landscape images but now i often use a higher focal length lens to get the subject to fill the frame.